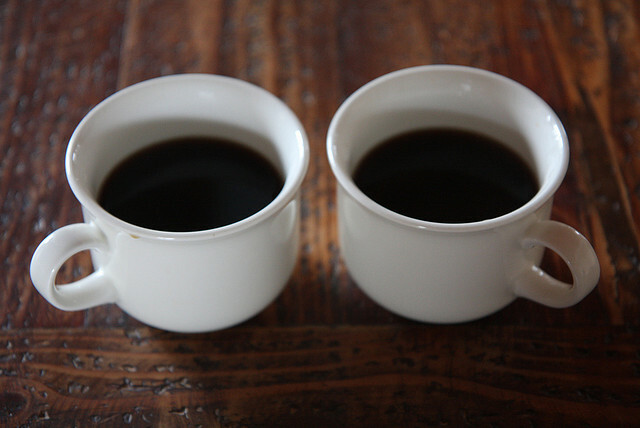 It’s easy to overlook coffee when it costs just pennies a mug. But consider: for each cup, a coffee bean and 99 of its cousins must journey halfway around the world to be hulled, roasted and ground. The water must be purified to historic levels, heated, then dripped through. So it’s a damn shame when even part of that effort gets washed down the drain. In case you haven’t noticed, cold coffee is a luxury – it costs more than hot coffee! And ask anyone who’s ever had coffee ice cream – sometimes coffee is just better cold. If you’re a daily coffee drinker, you could save up as much as 4 or 5 cups in a week just by saving the coffee you’d previously thrown away. Once your container is full, it’s time to spruce it up into something that a fancy coffee chain would charge 6 dollars for! 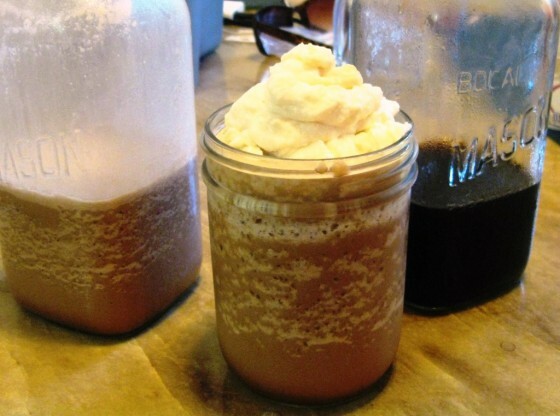 You can drink cold coffee black, but it’s even better with some heavy cream, sugar, and a few drops of vanilla. Find listed below a few great recipes for cold coffee. I wouldn’t bother saving coffee that’s been left on a burner all day. Burned coffee should be mourned and given a proper burial. It’s for that reason I’m a proponent of percolators and french press coffee. Once coffee’s been brewed, keep it off the heat! It takes me a single morning to polish this entire container off. It’s an entire day’s coffee reclaimed each week. Then once you’ve drunk all your cold coffee, the benevolent cycle begins once again. Also try loading an ice cube tray with cold coffee for some frozen coffee cubes to make your brew even colder! I spread all used coffee grounds into my compost or on my acid-loving plants. 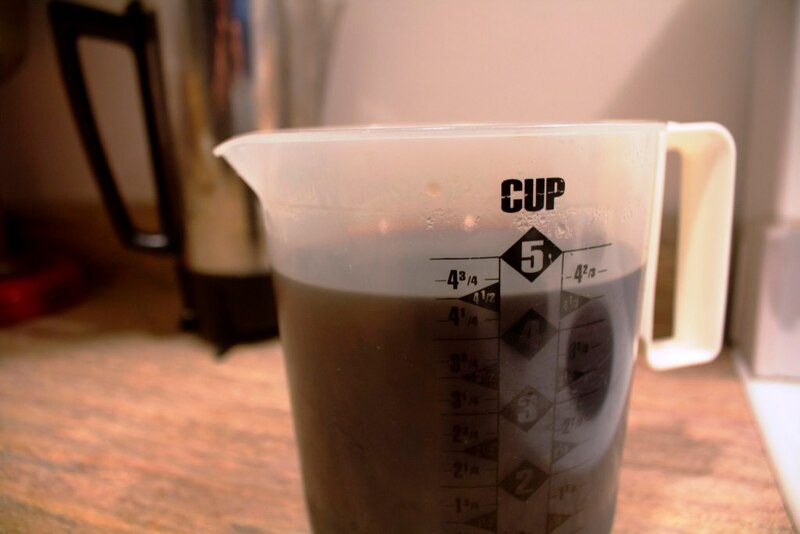 I make cold brew coffee for myself – great taste and low acid. Then I dry the used coffee grounds so the grandkids can “make coffee” in the mud kitchen! !